With its new eco-minded Emerald paints and ColorCast Eco Toners, Sherwin-Williams gives homeowners more high-performing, zero-VOC options. 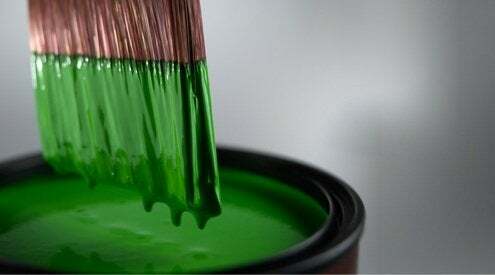 This summer, Sherwin-Williams broadened its eco-friendly offerings with the introduction of its high-end Emerald interior and exterior paints. The company, which received the EPA’s prestigious Presidential Green Chemistry Award in 2011, plays up the “beauty, washability, and sustainability” of the new zero-VOC line. The finishes emit few odors during or after application and have built-in antimicrobial properties that inhibit the growth of mold and mildew on the paint. The interior paints also received Indoor Air Quality Certification from GreenGuard, a third-party nonprofit certifying products that meet strict chemical emission limits, and which contribute to healthier indoor air. 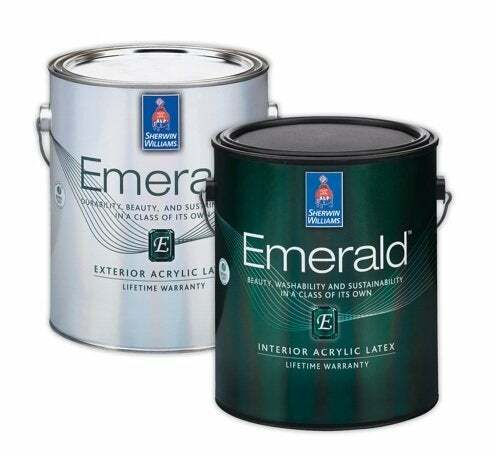 Great for weekend DIY projects, Emerald interior and exterior paints are self-priming, offering smooth and even coverage in one to two coats depending on the surface. The paints dry quickly and clean up easily with soap and warm water. Best of all, the company backs the brand with a lifetime warranty. In addition to the Emerald products now in stores, Sherwin-Williams also rolled out its new ColorCast Eco Toners, a line of tints available to color all Sherwin-Williams latex and water-based coatings. Unlike most traditional colorants (which frequently add VOCs to the finished product), ColorCast Eco Toners contain zero VOCs and maintain the paint’s thickness after tinting, producing rich coats in a full line of vibrant colors, according to the company. “Green technology is a hallmark of Sherwin-Williams products, and we are committed to driving advancements that provide consumers with a better painting product for their home—inside and out,” says Karl Schmitt, vice president of marketing research and design.